We have already published pokemons and other characters from the Nintendo universe. This time it was Kirby's turn - a fictional sphere with facial features capable of absorbing its enemies. 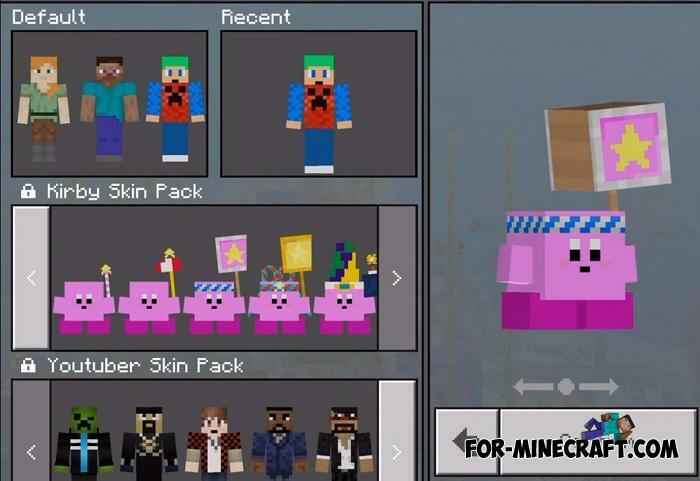 The skin pack will give you 8 Kirby skins with individual features for each. The most important factor of this pack is the four-dimensional form. This means that the skin that you choose will not match the original one in view of its shape. 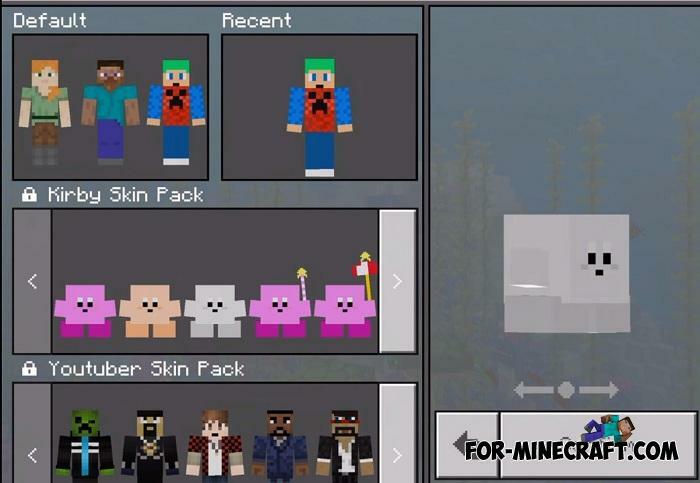 4D skins for MCPE differ in both height and width. Any 4D skin can have huge limbs, an unusual body shape and any height, be it a dwarf or a giant. The latest versions of Minecraft PE (starting from 1.5) have stopped supporting 4D and do not allow playing with such skins on servers. 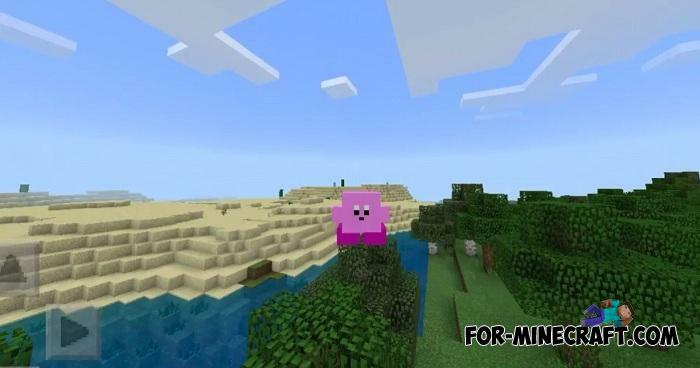 Therefore, the Kirby 4D Skin Pack is suitable only for older versions and servers running under them. How to install the Kirby 4D Skin Pack?